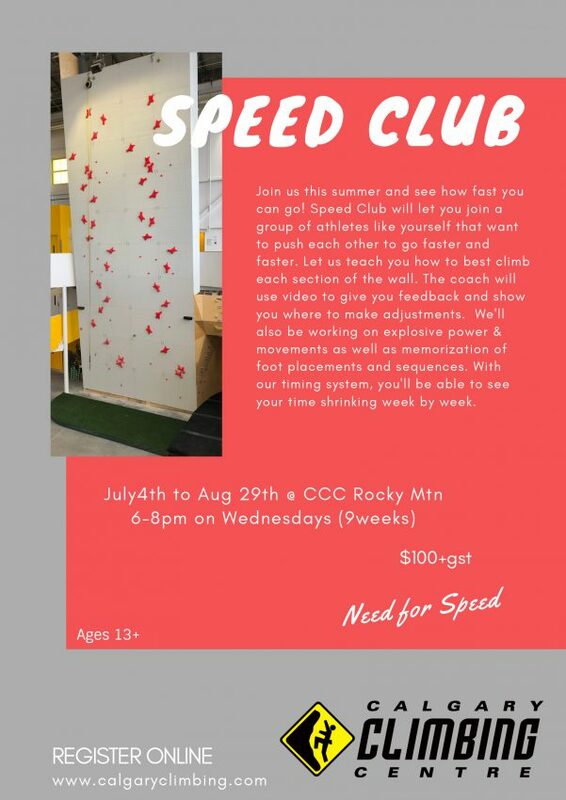 We are starting a Speed Club at our CCC Rocky Mountain location. For the months of July and August we’ll have a group getting together on Wednesdays to learn all about Speed Climbing and going FAST. 9 weeks from July 4th to August 29th, 2018. ***We understand it’s summer so if you miss a few it’s okay. Register HERE for this program….THIS PROGRAM IS NO LONGER AVAILABLE for registration.